The new ship, which is set to boost the military capability of the country, is the second Chinese aircraft carrier, but the first to be fully designed in China, as the first - "Liaoning" - was built on the base of the unfinished Soviet aircraft carrier "Varyag." The first entirely Chinese-built aircraft carrier is set to start full-scale trials, leaving the port of Dalian at 7:00 a.m. local time this Sunday, according to reports from the Chinese Defense Ministry. The ship, temporarily named Type 001A, was floated off in April 2017 after almost 4 years of construction. The Type 001A was launched in April 2017. The length of the aircraft carrier is 315 meters, beam — 75 meters, displacement — 50 thousand metric tons (70 thousand when fully loaded), operating speed — 31 nautical knots. Chinese media reported that up to 36 Shenyang J-15 fighters can be based aboard. 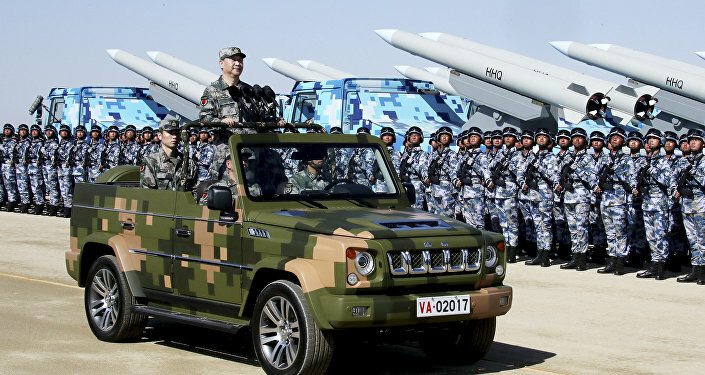 The trials, along with the broader military build-up, follow the course of Chinese President Xi Jinping, who stated this April that the necessity to have a powerful navy "has never been as urgent as it is today." The new ship will be the second aircraft carrier in the expanding Chinese Navy. The first — "Liaoning" — was built in 2012 on the base of the unfinished Soviet aircraft carrier "Varyag," bought from Ukraine in 1998.